The tower pictured above is of the Tyndale Monument. This is situated north of Bristol, on the Cotswolds escarpment, above the village of North Nibley. 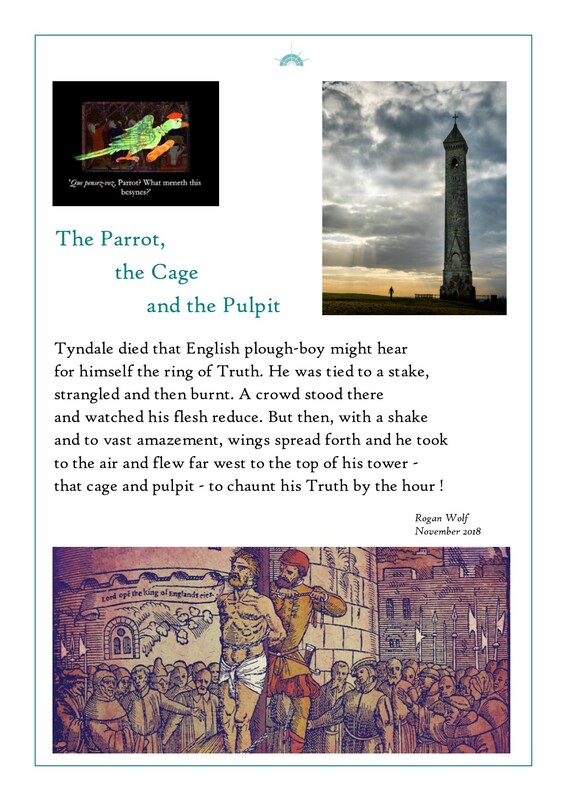 The tower was built in Victorian times, for it was only then that people realised the extent of Tyndale’s influence over, and contribution to, the English of the King James’s Bible. At that time, North Nibley was thought to have been Tyndale’s birth-place (scholars are now less sure). The photograph of the tower is by Matt Bigwood. Reproduced by permission.